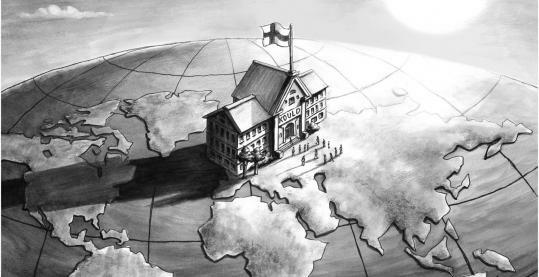 IF AMERICANS harbored any doubts about their eroded global edge, the recent release of the Organization of Economic Cooperation and Development’s fourth international comparison of educational performance should rattle the nation from its “We’re No. 1’’ complacency. The latest Program for International Student Assessment study revealed that, although the United States made some modest gains, it is lagging behind many other developed nations in the ability of its 15-year-olds. The country isn’t flunking: like France, England, and Sweden, learning here has stagnated at below-average levels. That “gentleman’s C’’ should be a call to change course. Take heart. Finland, one of the world’s top educational performers according to the last PISA study and a recent McKinsey report, was once in a similar slump and can offer lessons for the United States and others seeking a cure for poor public schools.